Get Fit to Get Outside! Kick Start 2019 with Our Pilates Challenge! 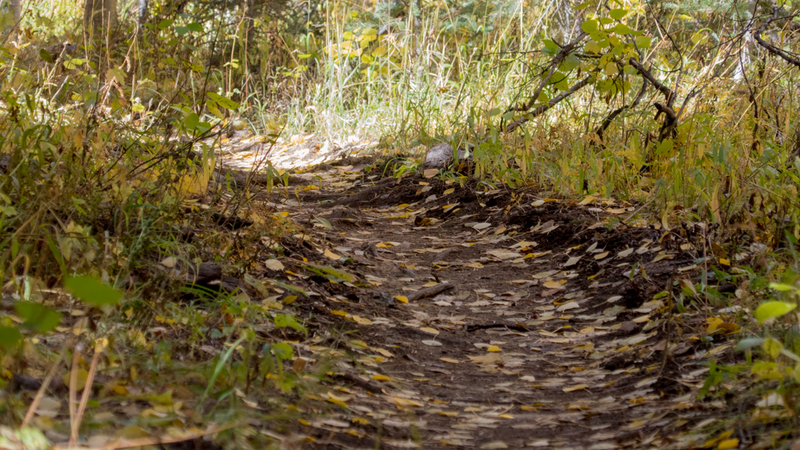 GET FIT TO GET OUTSIDE! “In 10 sessions, you feel better, in 20 sessions you look better, and in 30 sessions you have a completely new body.” – Joseph Pilates, the founder of the Pilates method. This is a bold claim! Only 10 sessions until you feel great? Only 30 sessions to a new, pain free body? It is possible – students who make the commitment and have the motivation it takes, do experience better athletic performance and less pain after 30 sessions. As Joseph also said, to see these drastic results, students should attend class 3 times per week. We know that this can be difficult. That’s why we created the 30-day Pilates challenge. Sierra Symmetry will give a $50 gift certificate from Tahoe Mountain Sports to the first client to attend 30 sessions starting this Monday, January 13th. In addition, Sierra Symmetry is adding MEMBERSHIPS!! Use this challenge to get that new body you’ve always wanted. You will feel better and you’ll be less prone to injury when you participate in other sports, like skiing, biking and running. We believe in you, and we want you to experience a total body transformation. Within the first 10 sessions, Pilates students start to develop better mind-body control. Students start feeling better physically and mentally. While you may not see results yet, you will feel that your body is becoming more balanced and mobile. Students are calmer as they learn how to move with greater control. A relationship with your body develops – once we start to feel different, we are encouraged to continue. After 20 sessions, students will start to notice a physical difference in their body. Muscles become stronger and more toned. Clothes that have been put on the shelf, waiting for the day when they fit again, are now a part of the rotation. Joseph says that the lifestyle change really happens at 30 sessions. Students experience increased mobility and greater energy. At this phase, Pilates becomes a welcome habit as students enjoy their new body that feels great. Again, Pilates makes this claim for students who attend 3 classes a week. We understand that it can be hard to fit 3 classes a week into a busy schedule, but we encourage you to put your health first. THAT’S WHY WE ARE STARTING 3 DAY PER WEEK MEMBERSHIPS! We want you to feel your best this year! Working out consistently makes you feel better physically and mentally. Your skin will look better, and you’ll begin creating a healthy habit. Does this mean that if you only attend class 1 or 2 times a week, you won’t notice a difference? NO! Students who attend Pilates on a regular basis, even if not 3 times per week, still see results. Bodies still become more strong and mobile. And Pilates is the perfect compliment to all the outdoor sports you are already doing this winter. Come sign up for the challenge! If you can make 3 sessions a week, you’ll have a brand new body for 2019 by March! Imagine starting your Spring athletics stronger and pain free! It can be a bit overwhelming when it comes to deciding on a fitness program. There is such a vast menu of fitness choices available out there and plenty of options that should be considered. Join a gym or work out at home? Book private lessons or join a class? Join a big studio or a boutique studio? Maybe you have narrowed it down to Pilates (good choice!). If you’re at the point where you have started comparing classes, and aren’t sure about the benefits of small vs. large classes, read on. Participating in a smaller, more intimate Pilates class is not only beneficial, it’s crucial for the wellness of your body. The father of Pilates, Joseph Pilates, originally termed his workout method “Contrology,” meaning “the science of control.” It is imperative that instructors have the time and space to be able to monitor their students’ movements effectively and to ensure that they are performing the motions in a correct and controlled manner. Pilates requires clean, intentional motions, coupled with steady breathing to match. The Pilates method is strategic in that it targets specific areas of the body. Furthermore, these movements must be performed with the body in proper alignment. A certified Pilates instructor ensures that the exercises are being performed accurately. For this reason, equipment classes should always be limited to a small number of students. 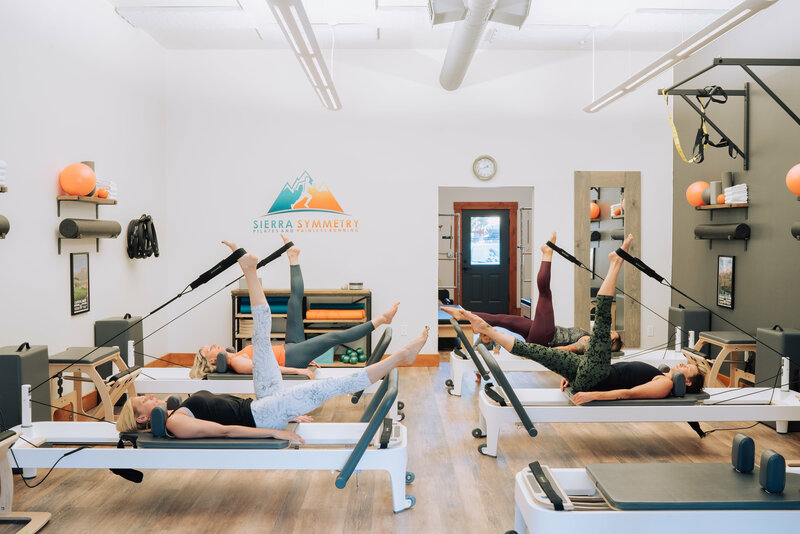 Although, our Pilates studio is large enough for more reformers, we limit our class size to 5 reformers, in order to guarantee that you will receive the instruction you need to reap the benefits that Pilates has to offer. A smaller class size facilitates individual attention from your Pilates instructor. In fact, because our classes are so intimate, it’s almost like you’re getting a private session! With 5 reformers available, our instructors are able to assess everyone’s progress and movements at the same time. They have more opportunity to help a student who might need more assistance with alignment. In larger Pilates Reformer classes, it is impossible for the instructor to be able to assess everyone in the class at the same time, putting the Pilates students at more risk of injury. As you continue to attend your Pilates class, comradery between the students grows, as does a sense of accountability. Classes morph into small communities where growth and support are organically nurtured. It is more likely that attending class becomes a habit. It is less intimidating to participate in classes with others who become friends. And when you don’t show up, you will be missed! I don’t know about you, but when I am learning in a small group, I am more likely to ask questions when I am not sure about something. Big groups can sometimes be intimidating. Pilates demands precise movements, and if you are not sure if you are doing them correctly, a safe and small environment is conducive to seeking out assistance. Instructors can dive deeper into explanations because they don’t have as many students to attend to. You’ll learn more and perform better as a result. Also, at Sierra Symmetry, we never cancel on single sign-ups. Meaning even if you are the only one attending that day, that class will happen. We understand the importance of sticking to a consistent workout regimen and how it can be thrown off by canceled classes. We want to work out with you! Browse our Pilates class offerings and join our community of like-minded individuals interested in preventing injuries and continuing to live a healthy lifestyle.